WASHINGTON, DC, November 10, 2010. Laogai Research Foundation (LRF) Founder and Executive Director Harry Wu, along with distinguished scholar Robert Conquest and Lithuanian politician and activist Emanuelis Zingeris, received the Truman-Reagan Medal of Freedom from the Victims of Communism Foundation (VOCF) in an awards ceremony Tuesday evening at the Lithuanian Embassy. Past recipients of the award include such distinguished individuals as: Rep. Tom Lantos; Lech Walesa; Vaclav Havel; Elena Bonner; Pope John Paul II; William F. Buckley, Jr.; Sen. Henry “Scoop” Jackson, Sen. Jesse Helms and Sen. Joseph Lieberman; and most recently House Majority Leader Steny Hoyer and former Governor George Allen of Virginia. 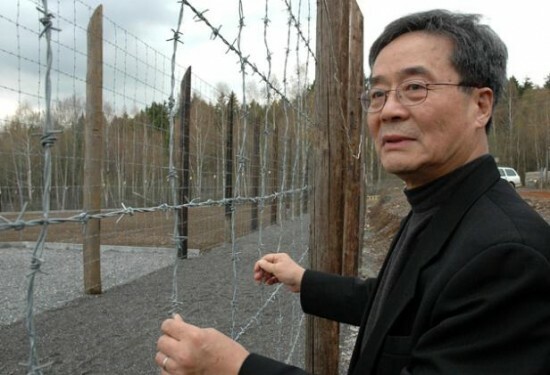 The Laogai Research Foundation is a not-for-profit organization founded by former political prisoner Harry Wu in 1992. Its mission is to document and expose the Laogai-China’s extensive system of forced labor prison camps. For more information, please visit www.laogai.org, email Nicole Kempton at laogai@laogai.org, or call +1 202 408 8300.